After a tree is removed, the lower portion of the stump is often simply left on the ground. This leaves you with a stump that can ruin the beauty of your area. Some people do get creative with it and use the stump purposefully. However, for some homeowners, a tree stump is an eyesore and a hazard. We offer stump grinding to help you clear it out. In stump grinding, the surface portion of the stump is ground into smaller bits to improve the overall beauty of the landscape. The lower portion will decay over time and become part of the surroundings. The excess mulch and soil are also repurposed, so it doesn’t interfere with the landscape. 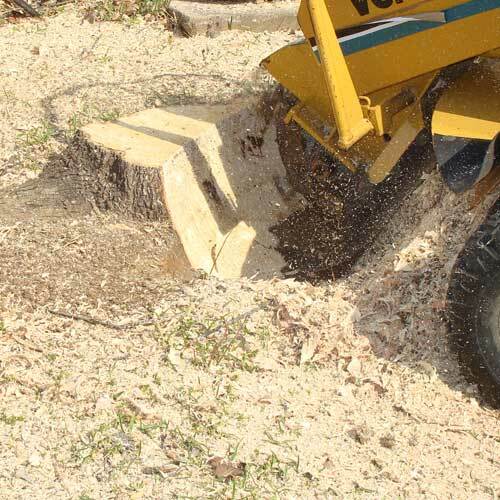 Our experts see to it that after stump grinding, the area is covered well that you will barely notice the barren spot. 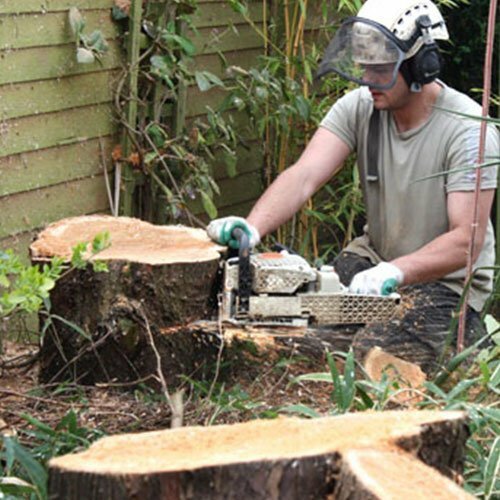 Trinity Tree Service Alexandria offers stump grinding as part of our services. However, the process varies from one case to another as some tree stumps are more difficult to remove, especially the larger and older ones. 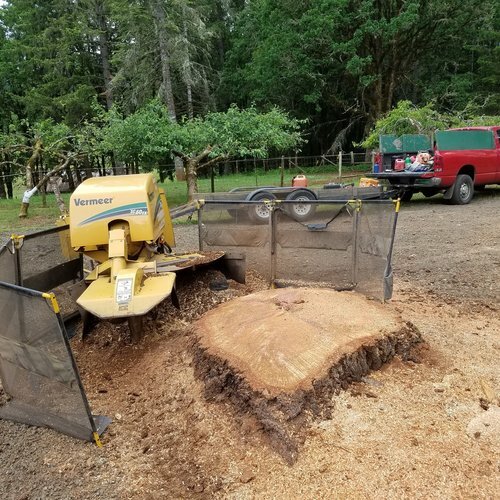 To provide you with an accurate quote, our tree experts will assess the tree stump and decide whether stump grinding is the best solution or if there’s a remove the tree stump completely. Rest assured that when they remove the stump, the hole will be filled in to avoid accidents. Although stump grinding can often be a very messy job, our workers will always follow the “clean as you go” policy. They will never leave the area dirty and always clear the debris after the job is done. Even though we bring our stump grinder to the property, we also ensure that it will not ruin your landscape while it is in use. After grinding the tree stump, our tree experts can also give you suggestions on how to repurpose the wood that it produces. You can use these as firewood or even build small household items. Let our workers know if you plan to reuse the wooden bits so they can prepare them for you before leaving. When the work is done, you can double check your property for anything we may have overlooked. We will gladly go over any areas that you need to be cleaned further. We will also ensure that the area is safe and that the hole left by the stump will not be a hazard or an eyesore. You will barely notice that there used to be a tree in the area.